Congenital talipusequinovarus : Congenital talipusequinovarus, commonly called clubfoot is the most common foot deformity. The feet are twisted inward and downward at the ankles in such a way that the ankle or side of the foot meets the ground while walking instead of the sole of the foot. Flat foot : Also, known as pesplanus, flat foot is a deformity of the feet, in which the arch running lengthwise along the sole of the foot has collapsed or has not formed at all. It may happen in one or both feet. Congenital vertical talus : Congenital vertical talus (CVT) is a rare condition in which the talus (heel bone) and navicular bones (ankle bone) of the child’s feet are abnormally positioned. This leads to a rigid flat foot with a rocker-bottom appearance. The hindfoot points downward to the floor while the forefoot points upwards. It occurs most frequently with other neuromuscular disorders such as spina bifida and arthrogryposis (multiple joint contractures present at birth). Calcaneovalgus foot : This postural deformity is located at the ankle joint, where the foot appears to be bent upwards. It occurs in newborns because of abnormal positioning in the womb. Congenital genu varus : Commonly called bowed legs, this is a condition seen in children under 2 years. The legs angle out at the knee joint in a way that a child stands with both feet joined and the knees apart. Generally, no treatment is required as the abnormality corrects as your child starts walking. Alternatively, special shoes, casts or braces may be ordered, or surgery performed in severe cases. Tarsal coalition : Tarsal coalition is a developmental deformity that occurs because of an abnormal connection between two bones at back of the foot (tarsal bones). Most children with tarsal coalition are born with this condition, but symptoms usually appear between ages 9-16 once the bone matures. Metatarsus adductus : Metatarsus adductus is a common forefoot deformity where the bones in the front part of the foot are bent or turned inward, towards the body. 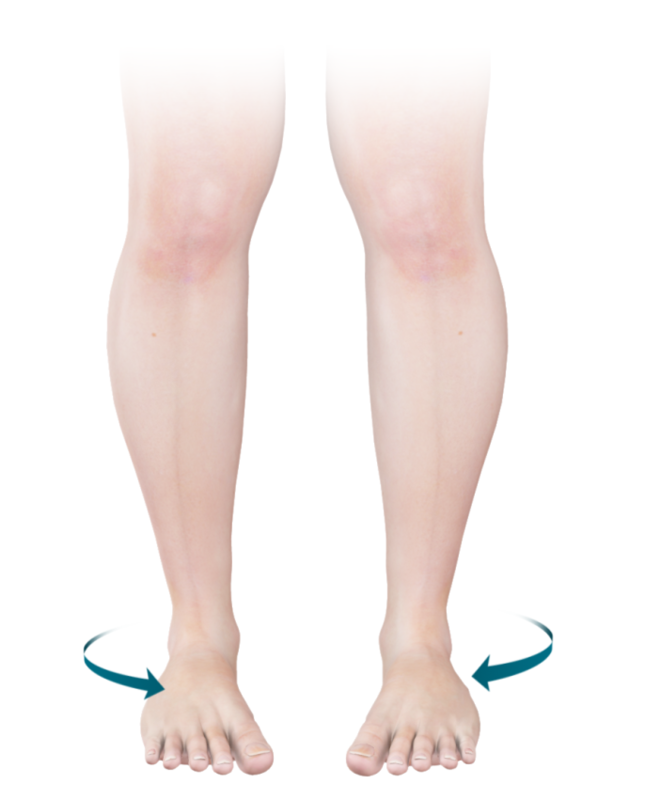 Leg length discrepancy : Leg length discrepancy is a condition in which one leg is shorter than the other, leading to problems in posture and walking pattern. There may be associated pain in the back, hip knee or ankle. It can be corrected by a reconstructive surgical procedure called limb lengthening.